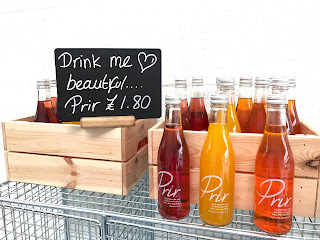 Today, I'm going to branch out to something different on the blog to something which I never thought I'd ever be writing about... exercise. 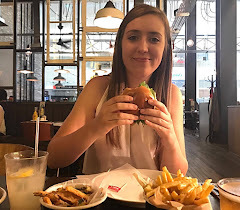 It's been 3 years now since I cancelled my gym membership but, as I've learnt (the hard way), you can't keep eating nice food and get away with a slim figure. 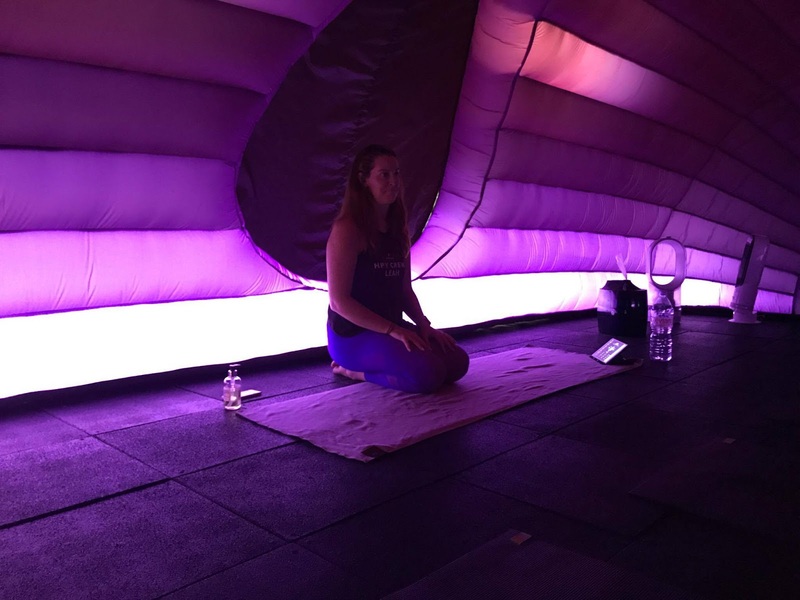 I was invited along to a bloggers event at the HotPod Yoga studio in Derby and thought I'd just give it a go. I don't usually get invited to non-food related events so it made a nice change and the exercise would do me good. 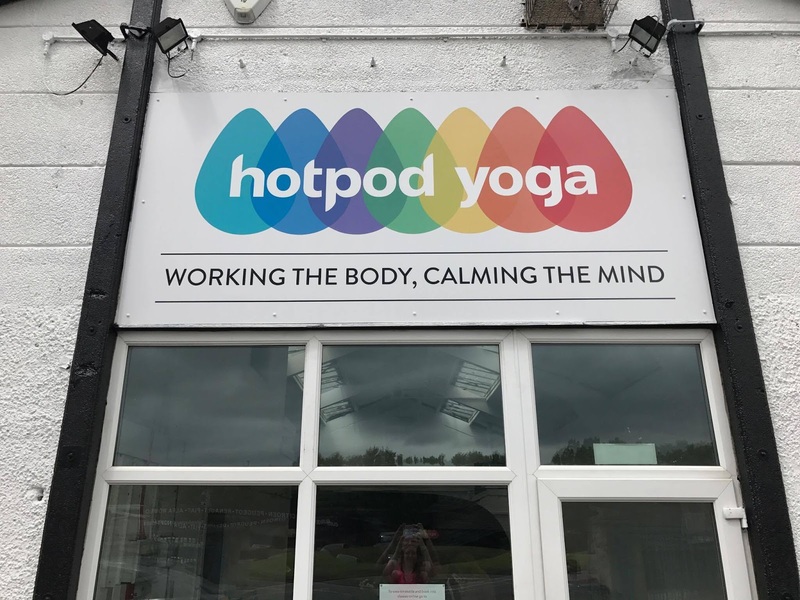 HotPod Yoga opened it's Derby doors just a few months back in Allestree but before long, they relocated to Mansfield Road - just by the Odeon Cinema, for somewhere more spacious. So, what is HotPod Yoga? Basically, you have a one hour yoga session inside a huge inflatable pod which reaches temperatures of 37 degrees celsius. The pods hold 20 people of all abilities and absolutely anybody can join in. Yoga has so tons of benefits - some I already knew and some I didn't. 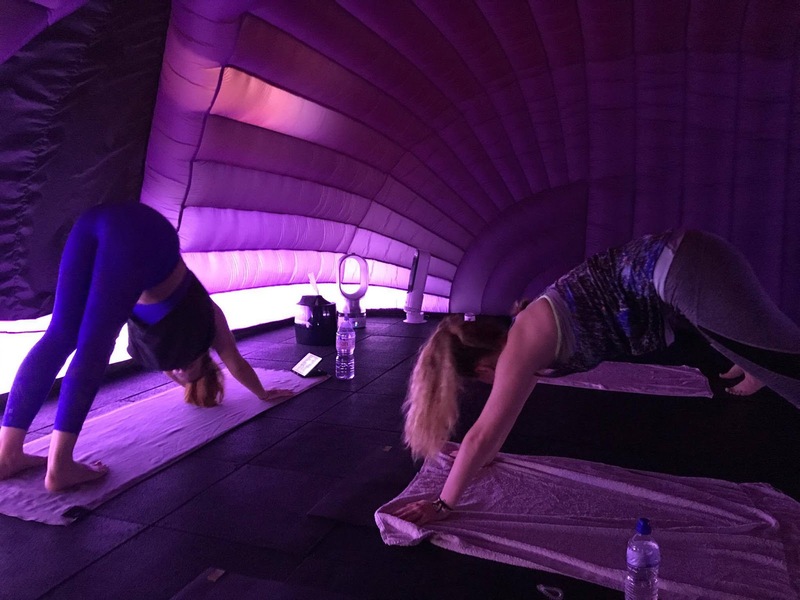 Our instructor Leah talked with us about what yoga can do for you such as helping you to de-stress, the anti-ageing benefits, strengthening your muscles, increasing your flexibility and so many more. After a welcome chat and a catch up with the other bloggers, it was time to start our class. I admit, I was quite nervous as something like this is totally out of my comfort zone. In terms of an outfit, I wore ankle length leggings, a sports bra and vest. 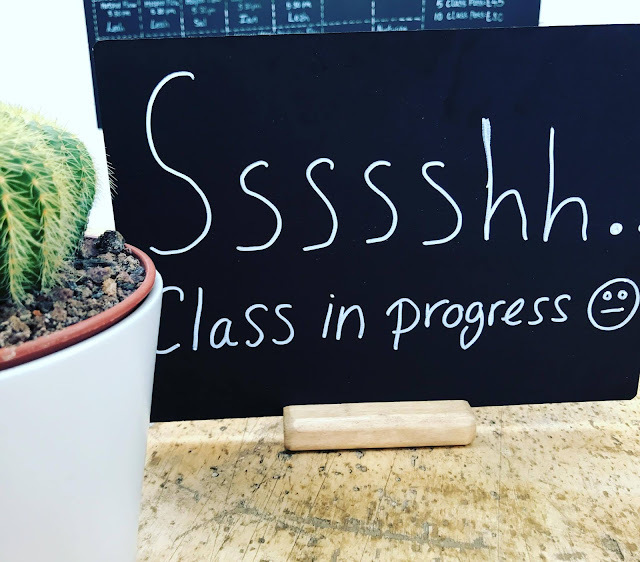 If you book in for a class, you'll also need to take a towel and a bottle of water because you're going to need it believe me. If you're taking your personal belongings inside, there are plenty of lockers. As I took my first steps into the pod, the heat hits you. It's not too intense though, it made me feel like I was stepping of the plane on holiday! You wouldn't actually believe how spacious the pod is. It's like a Tardis. The heat, lighting and soothing music instantly relax your whole body. I chose my spot on the front row as recommended by Leah. Usually, I'd be the first to slump to the back of the class to avoid being seen but here, it's so dark and nobody even looks at you anyway so the front is a great place to be, especially if you're a beginner so you can see how all of the positions are done correctly. You don't want to get yourself an injury. The class went by so fast. It really didn't feel like an hour at all. We learnt so many different positions, all part of the Vinyasa Flow style of yoga. I'm such a weakling so there were many that I struggled with. I have absolutely no upper body strength and I'm possibly the least flexible person you'll ever meet but none of this is an issue. It's something that develops over time and as Leah advised, you see huge a difference within your first three classes. You're allowed to stop at any point if you need to take a quick break or a drink of water and Leah and the gang are more than happy to answer any questions or give you a little extra assistance if required. As the class comes to an end, you give your body time to recover and unwind from what you've just put it through. During this time, the instructor goes around giving you a little head and shoulder massage which feels (and smells) amazing. Since the launch of HotPod Yoga in Derby, the demand has resulted in them doubling their original timetable and the new set of classes launched as of June 24th. There are a variety of timeslots to chose from which really caters to as many peoples lifestyles and schedules as possible. I found the pricing to be a lot more reasonable than expected. 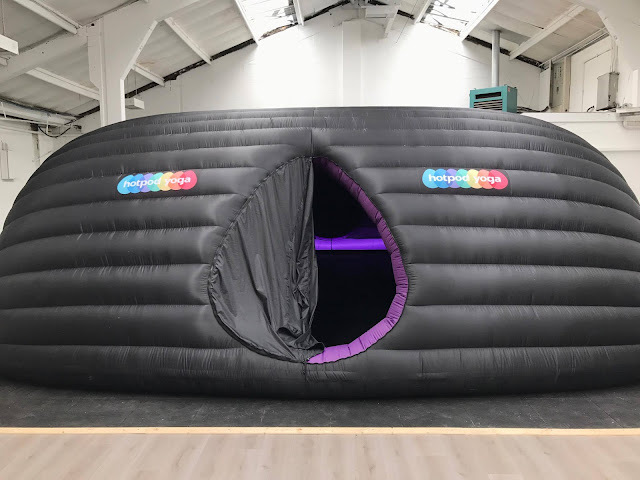 10 Class Passes are £80 or, if you're a HotPod lover, there's a monthly £60 membership which is fantastic value for money. 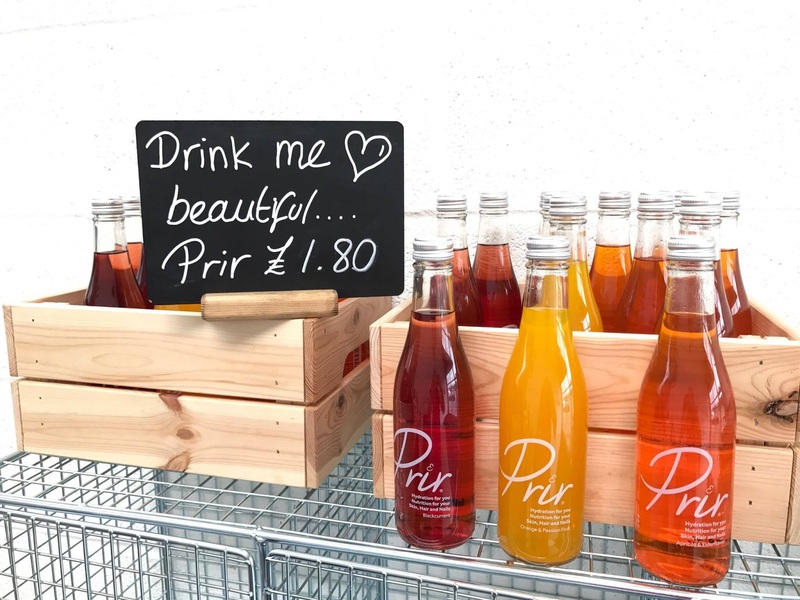 If you're a newbie, be sure to take advantage of the Introductory Offer of 3 classes for £15. I booked mine through the app pretty much as soon as I got home as I can't wait to come back and try again. 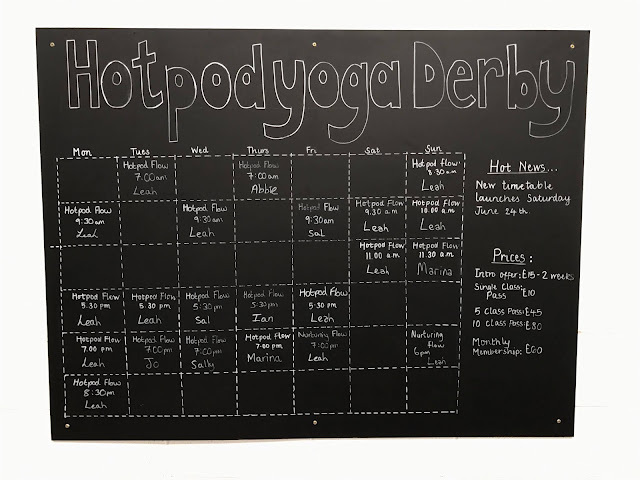 HotPod Yoga Derby has onsite car parking, as previously mentioned, there are lockers, bottles of Prir drinks to buy which are great post-session for replenishing vitamins in the body and should you need them, you can borrow a hair bobble. Over the coming weeks, there will also be a shower for sprucing up after class - I can see this being popular for the City Centre lunch break goers and right next door, a salon called Celfie will be launching. As you can probably guessed, I really enjoyed my first ever HotPod Yoga session. The feeling you get after completing the class feels great. You can actually tell you've done something and it really is relaxing. I nearly fell asleep! I had absolutely no reason to feel apprehensive about attending as Leah made us all feel really welcome, she was happy to help and is a fantastic instructor. I'd totally recommend trying out a session to see whether it's your cup of tea. I'm glad I did! A massive thank you to Leah & HotPod Yoga for inviting me along to try out a class. If you'd like to find out more, take a look at their website here.